2008 bt50, cooper stt, factory snorkel, 2in dobinson lift, k&n air filter, 2.5inch straight through exhaust, xrox bar, great white led bar light, roo light spots, 1200ib tigers whinch.my work/play truck. nice looking rig mate ..... what size tyres are they ? Hey mitch, There 31/10.5 on 15in rims. thought i'd throw up a few more pics of my bt50, have to keep this thread lively. accidentally posted this in the ranger thread last night... oh well .. havent posted any pics here for a while..
couple pics from my trip up the cape... not a massive trip for us as it is only 1000km from cairns (home) to the tip. most recent mods have been safari snorkel, long ranger tank and ome nitrocharger sport shocks.. Here is my 08 SDX Dual cab BT50. Bought it a couple of weeks ago as a family run about because I was sick of the Ms's poxy little Astra. Other things I want to do to it are get the exhaust straight piped, snorkel and HID headlight upgrade. Sounds like a nice rig you have, but if you are going to sell it, why sink 7K into it??? two years on....84.500 klm of trouble free motoring . i have just resisted temptation sell it...i just love it !! TAZZY wrote: hi. i have a ford ranger. white. cooper stt, bullbar, lightforce lights on bar, 4 lights across roof, ingel fridge in cab, custem toolbox with aircompresser wirerd in and led tail lights.and a snorkle. the truck is great with the power thay have but one thing im having trouble with is the snorkle. i seem to get water in the motor still . ford say that is normal and if it blows up its my fault for driving in water. How is a Ford snorkel different from an ARB snorkel? They are just an long tube. I would have throught as long as sealed properly there would be no difference. From memory, the Genuine Ford snorkle is exactly the same as the TJM airtec snorkle, it just has "FORD" or "AIRTEC" moulded into it. The only difference I see is that Ford wouldnt have the brains to make the snorkle water tight, like putting sealant around all the joins and block up the small hole in the bottom of the airbox. 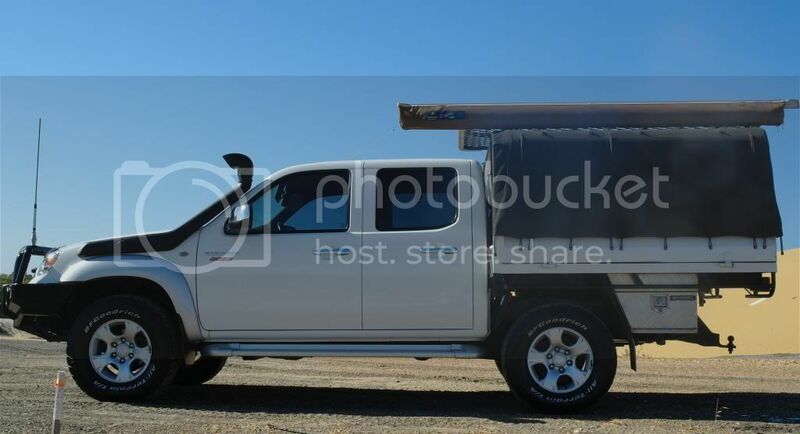 Hi guys, have recently bought a 2008 single cab bt 50 , i am interested in lifting it although i am struggling to see how everyone seems to manage lifting the front end being a torsion bar set up & limited space between bump stops as standard. would be greatly appreciate it if someone was to enlighten me as to how it is done?